I can tell that it’s going to be a long winter when everybody is sick on public transportation. I live in San Francisco and it’s been raining and cold the last couple of days. That means whenever I get on the bus or train I hear a symphony of coughs, sniffles, and sneezes. There’s no such thing as silence, only sounds of sickness. There’s no escape from the germs and bacteria all around you. You know that it’s just a matter of time before you catch something and get sick too. Hopefully it’s just a cold and not Ebola. Or Swine Flu. Or SARS. Are we still scared of SARS? 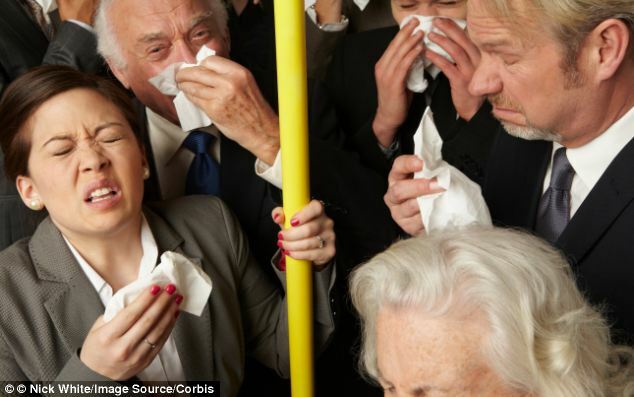 It’s hard to avoid getting sick when everybody else is, especially on public transportation. All you can do is use hand sanitizer every couple of minutes and try not to get sneezed on.